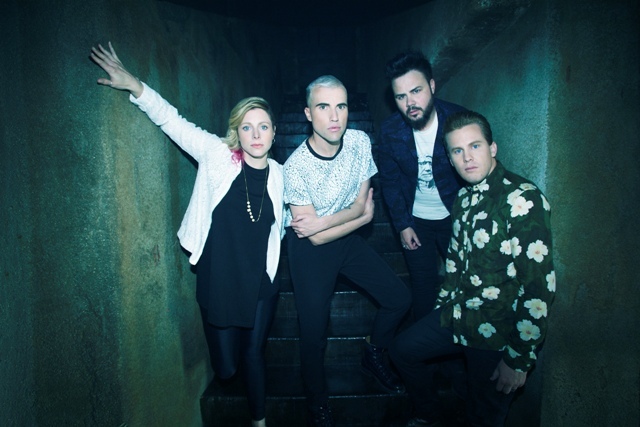 An Interview With The Alternative-Pop Group, NEON TREES On Their Formation, Favorite Tour Memories and Much More! 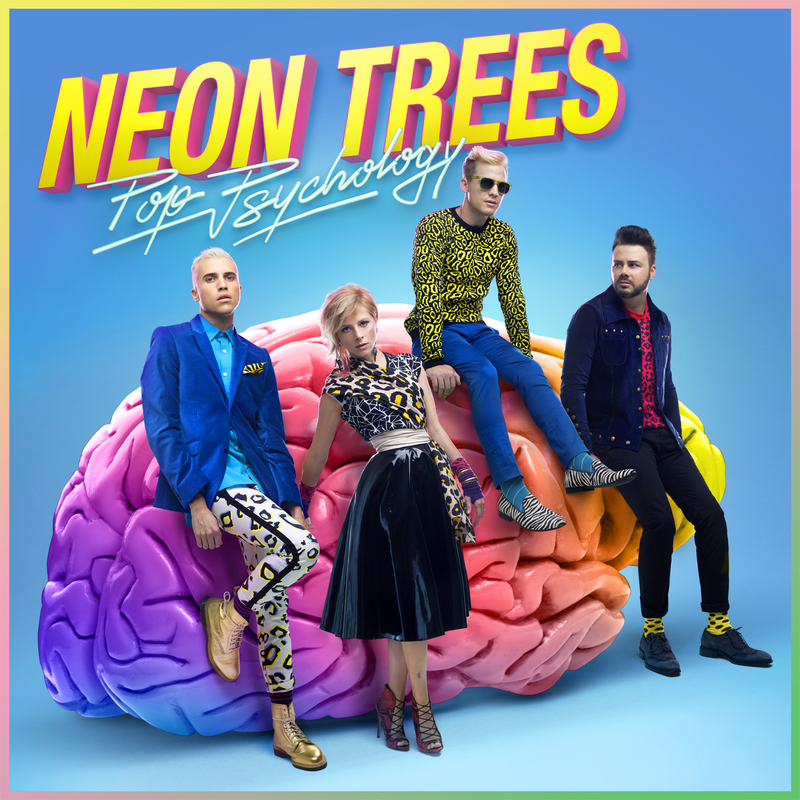 Tyler Glenn, Chris Allen, Branden Campbell and Elaine Bradley make up the alternative-pop group, Neon Trees. Led by lead singer and songwriter Tyler Glenn’s bright melodies, huge choruses, and witty lyrics about the challenges of finding love in the digital age, Neon Trees have been releasing hit after hit. Songs like “Animal”, “Everybody Talks”, “Text Me In The Morning,” “Sleeping With A Friend” and others cleverly capture the millennial concerns. 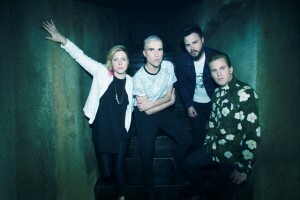 Neon Trees are currently on their “An Intimate Night With Neon Trees” Tour. The tour began on June 6th and will end on July 26th in Boston, MA at the Paradise Rock Club. They will be joined by Alex Winston, Yes You Are, Coin &/or Fictionist for various dates of the tour. How did you all meet and decide to start a band? Tyler and Chris had an early version of the band kicking around in 2007. Eventually they needed a new drummer and bass player, and they knew Elaine and I from being around the music scene. I saw it as a temporary gig, a chance to help them out until they found someone permanent. But I enjoyed playing music with them so much, I joined full-time. I quit my job, and we spent 9 months in southern California writing music and rehearsing EVERYDAY! Why “Neon Trees”? Where did the name come from? The name was influenced by a palm tree sign made of neon lights. It turns out my dad made the sign (he’s an electric sign builder by trade) years before Tyler would see it and be inspired for the bands name. You played for awhile in your hometown Provo, Utah. How was that for you and how long did it take for you guys to get recognized? We love playing in Provo. There’s a great music scene here and tons of talented songwriters and players. As much as we pride ourselves in being a Provo band, we knew it was important to get out of town to gain attention on a bigger level. How have you all grown as a band since you started? What have you guys learned? We’re better at listening to each other, and at listening to what a song needs or doesn’t need. We’ve also learned its okay to sometimes say no to things. Our schedule can get really busy, and sometimes you just cant be everywhere, We used to worry that we’re missing opportunities, but it all comes around in due time. It’s been awhile since your Pop Psychology Tour. How was it? What were some favorite venues and/or crowds? That tour was great! It was the biggest production we’ve done, and it looked and sounded fabulous. Playing a sold out show at The Wiltern in Los Angeles was a highlight. And that was the by far the loudest crowd. They were singing louder than all our equipment. What music are you all listening to now? Any new artists out there that you are loving currently? I’m listening to Oasis “Whats The Story Morning Glory” as I type right now. As for new artists, I’m loving the band Royal Blood. I realize sometimes we’re standing on the shoulders of giants in this business. The most inspiring to me are classic musicians like Otis Redding, James Brown, The Beatles, Rolling Stones and Neil Young. 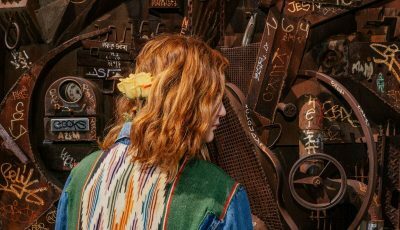 Why is this lifestyle of traveling, touring and performing one that works for you all? How do your families handle you guys touring so much lately? Being a touring musician is a required taste for sure. You either love it, or you’re going to be miserable. My family enjoys all that we’re doing, because I make sure to let them feel like they’re a part of it. They are such a huge support to me, that it feels like it’s their band too. And I love that. Its such a big part of our lives, they deserve to have it shared with them. A couple of you have done missionary work. Did those experiences influence your music and what happened to the band while those of you were away doing that? Actually all 4 band members spent 18-24 months doing full-time missionary work. Elaine in Germany, Chris in Guatemala, Tyler in Nebraska and Iowa, and myself in Detroit. Those 2 years I spent in Detroit became the blueprint to every good decision I’ve made in my life. Being in Detroit, Michign, I loved meeting people that we’re involved in the early years of Motown, or who worked with MC5, Grand Funk Railroad, or younger bands like Suicide Machines and Mustard Plug. Living or dead, who is a musician that you would all love to work with? Freddie Mercury and John Bonham. You have worked with a lot of incredible musicians. Who has really stood out? My band. Actually though, one night Tyler and I did some T-Rex and Stooges songs with Matt Sorum on drums, me on bass, and Steve Stevens on guitar. That was cool. Having the famous photographer Mick Rock show up in Miami to take photos of us. He’s a ball of energy, and it was a great shoot. Another time was backstage once with Conan O’Brien and him confessing that my hair beats his. We like to ride bikes. I also like to hike trails in the mountains in Utah. If we can help people escape for a brief time, that are struggling with anything in their lives, I’m happy with that. As a band, what are your goals for the future? 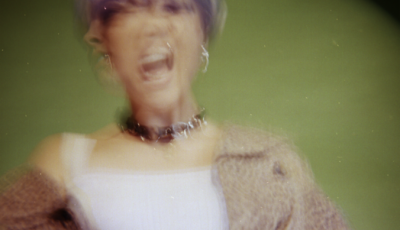 To not go crazy in this crazy business! 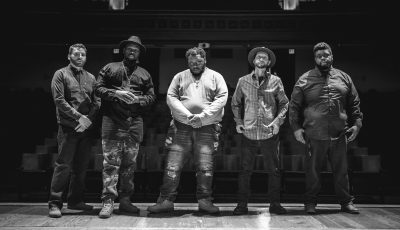 An Interview With DJ SKYLER GILMORE On Electro-Swing Music, The DJ World Today and His Favorite DJ Experiences So Far!